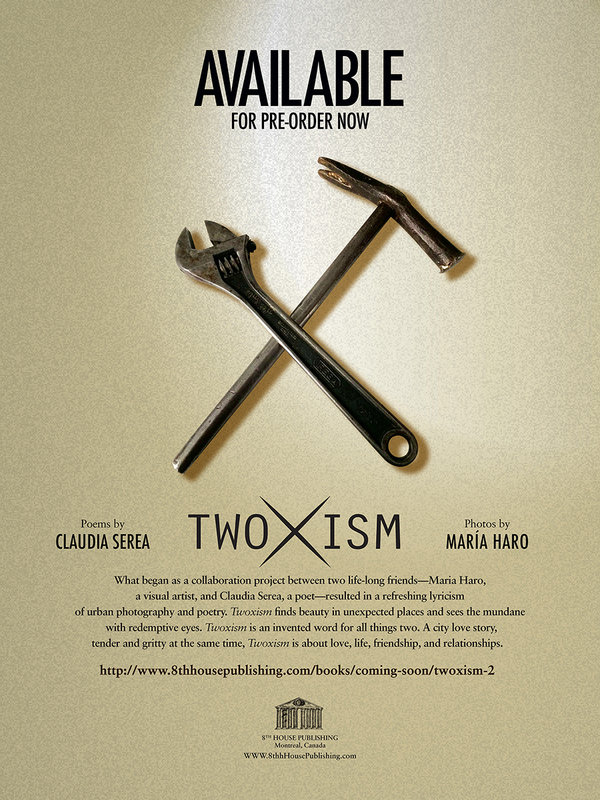 The book Twoxism is now available to pre-order! Twoxism will be published by 8th House Publishing in Montreal, Canada, in January 2019! 48 pairs of urban photography and unexpected poetry based on our 3+ years collaboration project. It’s a city love story, tender and gritty at the same time. Stay tuned for upcoming announcements about readings and book signing events in 2019.